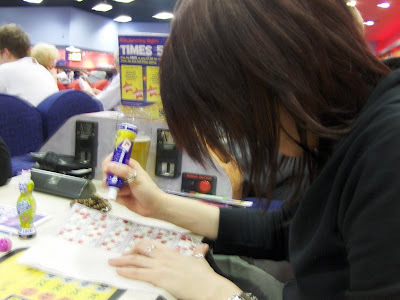 Thursday night I accompanied Mum and her friend Lynne to Gala Bingo in Bexleyheath for some free Bingo. Well I say free, the main games were free but we had to pay extra to enter the national game and some additional games that had big money up for grabs. I got a free dabber to mark my books as it was my first time. The manager who signed me up was kind enough to pop over during the night and see how I was getting on and stopped to chat on my way out. I wish I could remember his name as he was brilliant. As I was given some money off vouchers for drinks my pint of lager and lime only cost 39p. Bargain! Sadly I didn't win anything but I had fun. I highly recommend it as a cheap and fun night out.